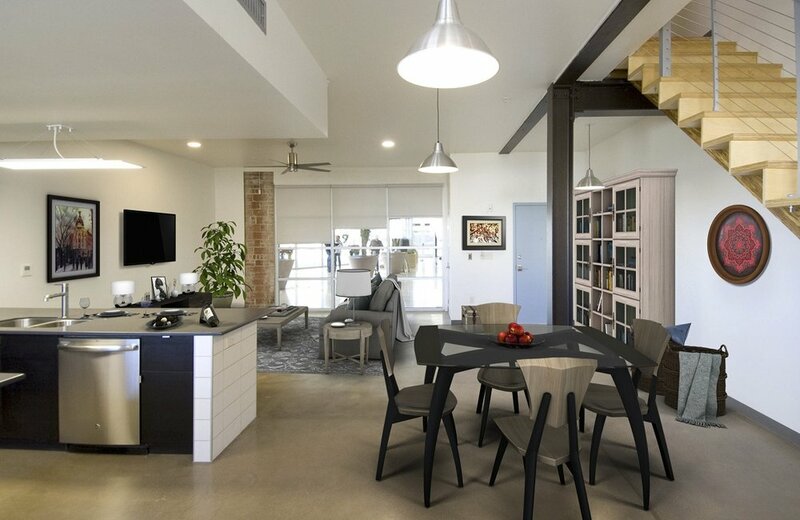 A large two bedroom, two bath loft full of personality. 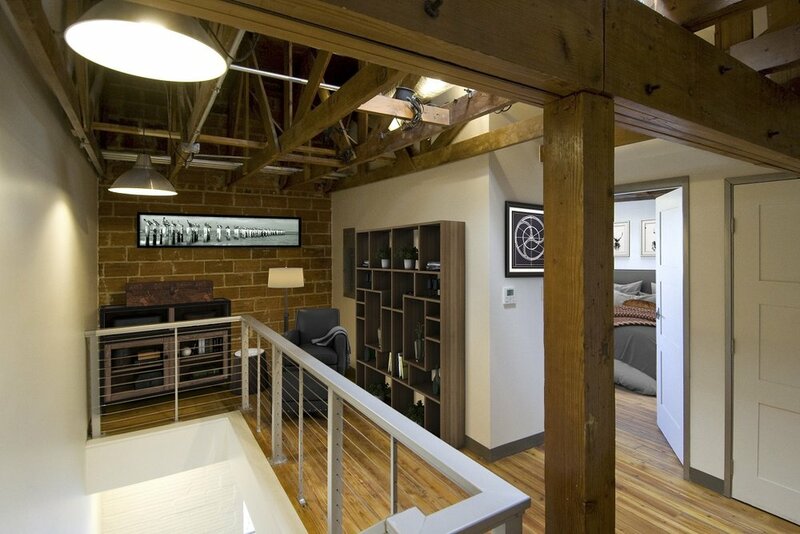 This is a breathtaking two-story loft featuring two bedrooms and two bathrooms. The windows look out into the open courtyard and allow for beautiful views. A skylight on the second floor brings in natural light that carries throughout the unit. The modern wooden staircase leads upstairs to the bedrooms featuring great windows and exposed brick walls.